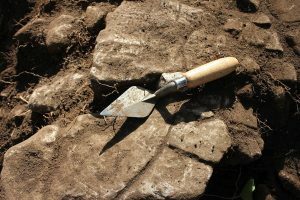 From Inside the Vaults is a monthly blog that gives insight into best practices for collections stewardship, curation, and archaeological collecting institutions. Preventing collections from damage and deterioration is an important part of any collections management role. 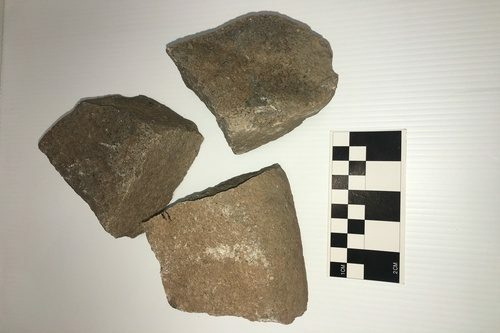 As the Collections Manager of the San Diego Archaeological Center, I spend time each week taking special precautions and following steps to monitor a variety of different environmental conditions that may adversely affect collections. Insects, spiders, and other pests can cause problems to collections and an Integrated Pest Management Policy (IPMP) will help collecting institutions monitor and track these potential challenges for the long-term. The purpose of an IPMP is to define procedures, responsibilities, and documentation required when monitoring pests at the SDAC. 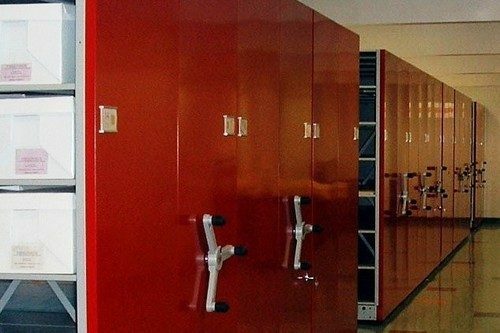 These policies may vary depending upon the type of collecting institution, the surrounding environment, and repository where collections are being stored. I used a variety of sources, including reference materials from the American Association of Museums and the National Park Service, to help build a comprehensive policy for the SDAC that works for our institution and types of collections. There are many insects and critters running around outside of the Center and tracking their presence inside our walls is incredibly important. Each week I inspect the SDAC by observing the entire facility floor-to-ceiling. Some evidence I may find that would alert me of pest disturbances include: spider webs, frass (insect feces), dead insects, discoloration of surfaces (wood, plastic, paper, etc. ), chew holes, and dirt. If any evidence of pests is found, I document the problem and monitor the area of disturbance closely. Additionally, there are pest traps placed near all of the entrance and exit doors in the vaults, curation lab, library, Museum, and other Center spaces. 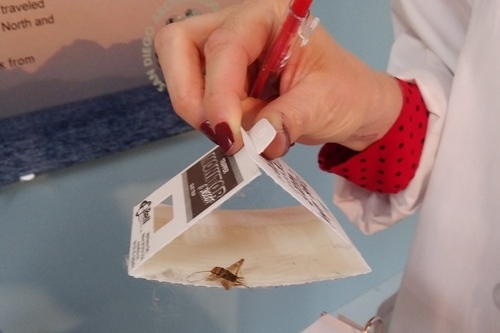 These traps are checked weekly and pests are recorded for long-term monitoring and care. By comparing traps quarterly, we are able to monitor a change or influx in any particular area of the Center and also can easily identify new pests as they arrive. When checking traps I record the amount and types of pests, location of the trap, and note any unusual circumstances. While it is the job of the Collections Manager to monitor pests weekly, it is up to all Center staff to keep a watchful eye and let the Collections Manager know if there are any signs of infestation around the facility. It may be impossible to keep all pests out of the Museum but these preventative measures can be taken so that collections do not become infested. Weekly monitoring of the Center and pest traps gives us the data we need to ensure that collections are preserved well for future generations.